Novus Scientific (Uppsala, Sweden) and Surgical Momentum (Daytona Beach, FL) have released preliminary data indicating that the absorbable TIGR® Matrix Surgical Mesh results in better overall patient value than a biological mesh in complex and challenging cases of abdominal wall reconstruction (AWR)*. Reductions in the rates of complications such as seromas and wound infections were particularly satisfying. The comparative evaluation, part of an ongoing clinical quality improvement (CQI) project, was performed at Halifax Health Center in Daytona Beach. The CQI approach provides real-world clinical knowledge that helps healthcare professionals better understand the value of products used in clinical processes. The motivation for using TIGR® Matrix to improve patient-care processes and value-based outcomes in AWR is based on several product attributes, including its 100% resorption, completely synthetic, easy-to-handle material and expected lower cost of care benefits. Thirty-nine patients in the TIGR® Matrix CQI project were compared with a similar patient group in the RICH study (1), which examined using the biological (porcine-based) mesh implant Strattice™ as a prosthetic reinforcement for complex AWR. Post-operative results in the TIGR® Matrix group of patients were encouraging, with less seroma than the RICH group (15% vs. 28%) as well as less recurrence (13% vs. 19%). Other process optimizations that improved outcome included transverse abdominis release (TAR). The CQI project also examined mesh usage and direct costs for TIGR® Matrix compared with the biological mesh used in the current AWR CQI program at Halifax Health or the market-leading biological mesh. Treating 38 patients with TIGR® Matrix (in one patient, a microporous resorbable mesh was used) generated direct cost savings of more that $300,000 (over 70%). 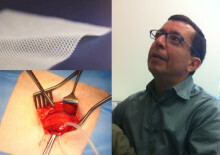 Interestingly, this CQI project gave all patients the opportunity to see and feel the TIGR® Matrix mesh. Understanding why it may be a good choice for their situation appeared to comfort them and their families. In addition, knowing that resorbable TIGR® Matrix avoids concerns about how biological meshes will behave in their bodies, including the potential for long-term complications such as pain, discomfort and infection, may positively impact the outcome of the procedure. This was a complex patient group, with many individuals experiencing multiple previous abdominal operations and ongoing infections. Nevertheless, TIGR® Matrix performed exceptionally well, achieving low rates of complications and delivering increased value for the patient, surgical staff and healthcare system. Compared to standard treatment with a permanent biological mesh, preliminary cost savings reached 70%. To cite the report “Despite this very complex group of patients and operations described herein, TIGR® Matrix has not required removal for any complications or situations”. *Open abdominal wall reconstruction using TIGR® Matrix surgical mesh. Techniques and outcomes in complex patients. Bruce Ramshaw, MD, FACS, Surgical Momentum Inc. Henrik Hjort, Novus Scientific AB. Patent inclusion and data collection are ongoing and the final results will be presented at scientific meetings and published in peer-reviewed journals. Surgical Momentum, based in Daytona Beach, FL, is a clinical quality improvement (CQI) research organization, providing expertise in applying the principles of CQI research to real patient care. Dr Bruce Ramshaw is Chairman and CMO of Surgical Momentum. Bruce is also co-director of Advanced Hernia Solutions, a clinical hernia program. 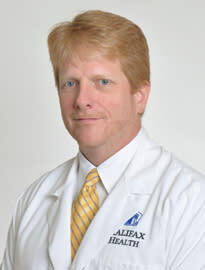 He is Chairman of the General Surgery Residency program at Halifax Health and is current President of the Americas Hernia Society. Novus Scientific (www.novusscientific.com) is an innovator in the development and commercialization of resorbable synthetic medical devices. 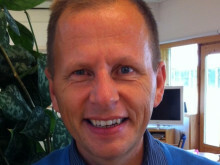 The company’s roots are Swedish; all its founders are previous owners / senior managers / members of the soft tissue-engineering project within Uppsala-based Radi Medical Systems AB (now owned by St. Jude Medical Inc). The US Division, Novus Scientific Inc. is headquartered in San Diego, from where it distributes TIGR® Matrix Surgical Mesh throughout the United States.